Klein PJ, Schneider R, Rhoads CJ. 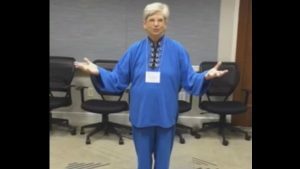 Qigong in cancer care: a systematic review and construct analysis of effective Qigong therapy. Support Care Cancer. 2016 Jul;24(7):3209-22. doi: 10.1007/s00520-016-3201-7. Epub 2016 Apr 5. Review. PubMed PMID: 27044279. Zeng Y, Luo T, Xie H, Huang M, Cheng AS (2014) Health benefits of qigong or tai chi for cancer patients: a systematic review and meta-analyses. Complement Ther Med 22(1):173-86. doi: 10.1016/j.ctim.2013.11.010. Epub 2013 Dec 18. Review. PubMed PMID: 24559833. Oh B, Butow PN, Mullan BA, Clarke SJ, Beale PJ, Pavlakis N, Lee MS, Rosenthal DS, Larkey L, Vardy J (2012) Effect of medical Qigong on cognitive function, quality of life, and a biomarker of inflammation in cancer patients: a randomized controlled trial. Support Care Cancer 20(6):1235-42. doi: 10.1007/s00520-011-1209-6. Epub 2011 Jun 19. PubMed PMID: 21688163. Wang R, Liu J, Chen P, Yu D (2013) Regular tai chi exercise decreases the percentage of type 2 cytokine-producing cells in postsurgical non-small cell lung cancer survivors. Cancer Nurs 36(4):E27-34. doi: 10.1097/NCC.0b013e318268f7d5. PubMed PMID: 23051870. In order to maintain your safety while participating in Qigong Exercise classes, please complete the following brief screening survey. If you answered Yes to any of the questions below, then discuss same with Qigong instructor prior to joining the class.o Are you limited in your ability to engage in mild exercise (equivalent to putting away groceries)? o Has your doctor or health care professional advised you to limit or avoid specific physical movements or activities? o Do you lose your balance at times or experience dizziness or lightheadedness when bending over to pick something up off the floor or when rising from a chair? o Are you limited in your cognitive ability to maintaining your own safety during exercise? Please be aware that you, as a class participant, have a role in maintaining your safety during exercise participation. o Discuss any exercise concerns with the class instructor. o Wear comfortable, loose-fitting clothes and flat-soled, non-slip shoes to class. o Bring a container of water to flush toxins and for rehydration during class. o Only exercise within a comfortable range. o Choose to sit, if you become fatigued or balance is a problem during exercise. o Limit movement such as reaching up or bending down, if advised to do so by your health professional. o Limit activity such as self-massage, if it results in discomfort or you have been advised to do so by your health professional. o For home practice, follow the guidance of your class instructor. o Calm the mind and relax prior to starting your Qigong practice. o Do not consume cold drinks or frozen foods, such as ice cream, immediately before or after practicing Qigong (a warm herbal tea or room temperature drink is recommended). o Try to practice at least one hour after a meal (e.g., lunch or dinner), it is not good to practice when one is feeling hungry or full. o Refrain from practicing after consuming alcohol. o If any exercise results in pain or discomfort, stop the exercise and discuss with your instructor or your medical consultant before continuing. Nurture, encourage, openly express the joy of Qigong practice in order to guide students to self-discover the joy in their own practice. · Keep it light and fun. · Allow your students the experience. Talk less. Listen more. 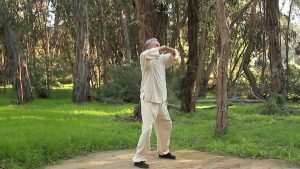 You will teach your students how to practice Qigong, and they teach you to become a better teacher. · Only advise within your area(s) of expertise. Qigong is the focus, not medical treatment of cancer or nutritional counseling. · Prepare and distribute a brochure or informational handout describing your program, its philosophy and activities that your students can share with their attending oncologist. · Explore opportunities to defray participation cost including third-party reimbursement as health and wellness programming. · Accurately interpret the research. There is strong evidence that Qigong practice can improve cancer-related quality of life. At this time (Jan 2017), research evidence suggests that Qigong practice may have a role in cancer prevention and improved survival, but definitive proof of these two potential benefits needs to be assessed and verified through additional population research. · Each participant has a unique cancer journey. Perhaps all you need to know of cancer is that it is a collection of diseases most often manifesting as tumors. Western management may involve surgery, chemotherapy, radiation, and/or use of medication. Integrative oncology adds complementary therapies. Traditional Chinese Medicine includes qigong practice and nutritional support. · Some students may be experiencing paraesthesia (pins and needles sensation in feet and/or hands), difficulty concentrating, pain, fatigue, nausea, sleep disturbance, and emotional distress as side effects of the cancer and its treatment. These symptoms may persist during and after treatment. 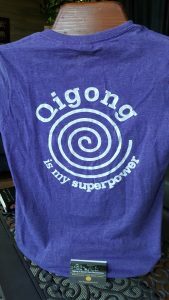 Qigong can help. · Consider it normal that some days are better than others for your students. For many, every time they come to class is a reason for celebration. Celebrate with them.